I managed to get me a ticket - pretty easily last November in the initial Coach Package sale thanks to the perseverance of my F5 laptop Refresh Fairy . Looking at who is there and when they are playing, there is more than enough to keep me entertained. As I have been before, part of my "plan" is to take things more leisurely, but there are a few clashes as you might expect (1800 acts across 100 stages, and so little time). I think that 2017 is not a particularly strong Glastonbury line-up, but I firmly believe two things. No line-up is "good" if YOU don't like the acts. 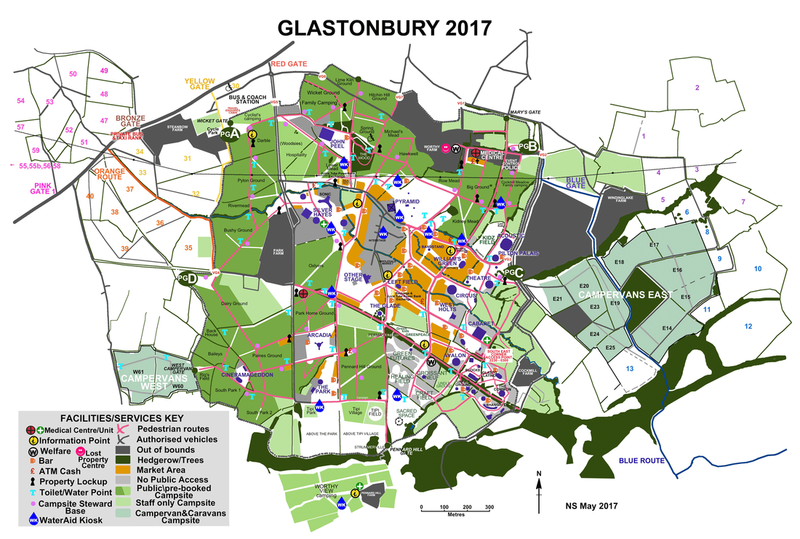 This is Glastonbury, if you don't like what you see move away and stroll a little - you will find something, somewhere nearby.